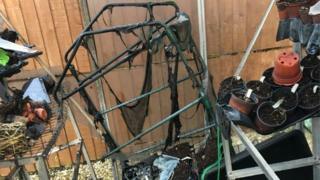 A gardening guru accidentally destroyed his own spring crops when he burnt down his greenhouse by mistake. 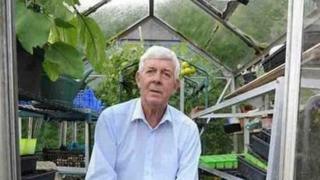 Terry Walton – famed for broadcasting from his allotment on BBC Radio Two’s Jeremy Vine show – used a heater to protect his vegetables from frost. But he lost his spring tomatoes, parsnips and onions when the greenhouse caught fire from his double burner. Mr Walton, 73, who gives gardening tips on a hillside in the Rhondda valley, had been alarmed by a frost alert. 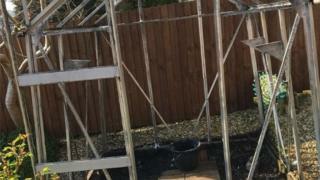 He is now rebuilding his greenhouse and thanked the community for its support – including the police officers who attended the fire and offered him plastic trays. “The forecaster was talking about minus one and minus two temperatures,” Mr Walton said. Mr Walton said he had settled down at home when he heard someone banging on his dining room window last week. “It was the young lad who lives in the house in front. He was up in his back bedroom and saw the greenhouse all in orange glow,” he added. The neighbour grabbed a hosepipe to put out the fire but in 25 minutes the whole greenhouse had burnt down. “I had 72 onion plants and they are the best ones I have grown for many a year and they were only a fortnight from going out,” he said. Mr Walton also lost 60 parsnips that were planted last week and tomatoes. He is now rebuilding his greenhouse using 53 panes of glass while the community has rallied around, offering onions, parsnips and plastic trays.